When guests step out of the aisles and into your trade show booth, is your team ready to make the most of that golden opportunity? Most event leads would answer with a resounding no. That’s not just a problem, it’s a crisis. Every minute of a live customer-facing event is a chance to make new connections, win new business, differentiate your brand, and convert prospects to solid leads. If your staff isn’t performing at their very best, it’s time for strong booth staff training. There are two types of prospects walking past you on the trade show floor: Those who are there to do business, and those with no intention of stopping or interest in your service or solution. Both are prime targets and potentials for a sale. The difference between these two attendees isn’t those individuals, it’s your booth staffers. Your onsite crew makes the difference between a hot lead and a missed opportunity. So ask yourself again, “Is my team up to the task? Are they present, engaged, energized, ready to respond, prepared to meet each potential customer with a smile and offer a compelling story that creates better connections?” They are your top shot at stronger ROI. Trade shows and other customer-facing events take your salespeople and technical designers out of their element and thrust them into a spotlight that’s far beyond their comfort zones. But you can implementing three easy best-practice training exercises into your pre-event prep that will help assure higher degrees of interactive success. How does your staffer stand out from those around them? 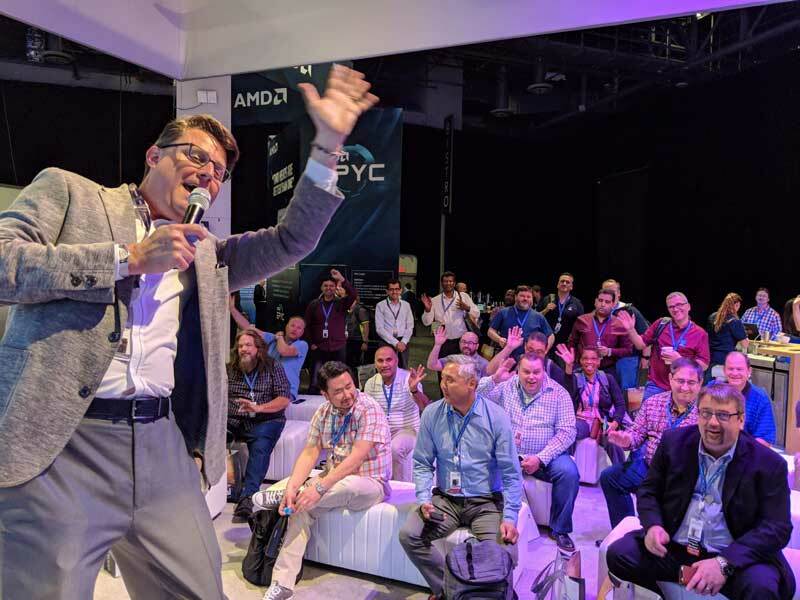 How comfortable are they stepping into the aisle, extending a hand, or asking what they can show to an attendee walking by? You might know how to handle these “simple” situations instinctively, but don’t assume your fellow employees share your hard-learned skills. Role-playing, where members of your sales and engineering staff take on the personas of different types of guests, gives the entire team a chance to act out multiple scenarios for one another, and assure more demos and more quality leads. Once on site, walk the venue as you think your guests might. Rather than focus on your own brand and strength, try to think like an IT Manager for a company that’s never heard of yours or doesn’t know what they need from the show. What would they be looking for, and how would they view your booth staff? What kinds of questions might they ask and what sort of conversation should your team have with that prospect? These are all role play opportunities where practice can pay off in big ways. So many role play ideas are out there. Imagine you’re a member of the press seeking their next story as they pass by your booth. Think like a systems integrator hunting for that next big idea. Role play among your team taking on these different personas and see how those conversations flow or wilt. Understanding how your potential guests are walking that same show floor will deliver keen insights into how your booth and staff perform. Pass these real-time insights along to your staffers throughout the show and they’ll achieve greater success for your brand. Waiting to train your booth staff until one hour before your event isn’t enough. It’s more convenient and saves a few dollars, but it’s a highly ineffective strategy that wastes time and nets no measurable result. Your staff can’t internalize your instructions that quickly, and you’re preaching to a distracted choir who each have too many other things to do in that moment as prepare for show open. Hold strong training sessions prior to the team’s arrival at the show venue, either at HQ or online or both. Make your trainings more appealing by offering food or organizing a follow-up social gather. Create incentives. Bring in executives to cheer the team on. Clearly show how their best efforts can pay off for them and for the entire company. The more excited your staff are about their own success at the upcoming event, the more enthusiastic they’ll be onsite with your guests. Reinforce these valuable lessons in the booth before event kickoff, during, and after the show. You’ll see great results. Your staffers have jobs. While they’re working your trade show, they’re taking on a second job, one that pulls them away from their primary responsibilities for 2-4 days or more. They’re stressed, and most are only there because they have to be. What can you do to address that challenge and make them happier to work your booth? Remember that boss who never praised or thanked you for all your hard work? Don’t be that boss. Make sure your team feels they’re each a valued key to the show’s success and directly responsible for making your brand shine. Because on that show floor they are your brand. They are you. Their actions and interactions reflect directly on the company. The more they feel supported, appreciated, and respected, the more likely they are to adopt your goals and vision of event success. Recognize your staff before, during, and after your event. Acknowledge that they are your measure of success. They’ll show their gratitude with improved, engaged performance. A positive experience also increases the likelihood they’ll readily volunteer to staff your future events. That saves you and your stakeholders the trouble of re-recruiting and re-teaching inexperienced staff on the next outing.